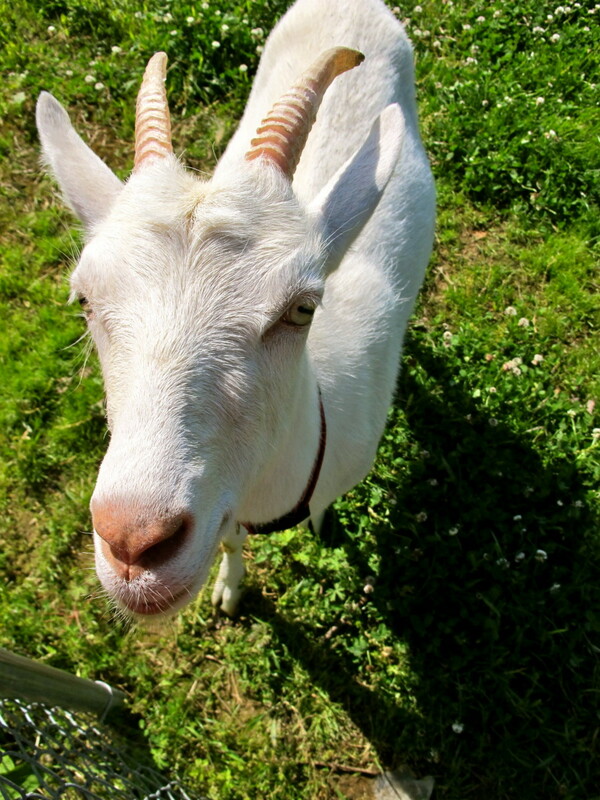 Are you wanting to raise your goats to provide milk and other dairy products for your family? 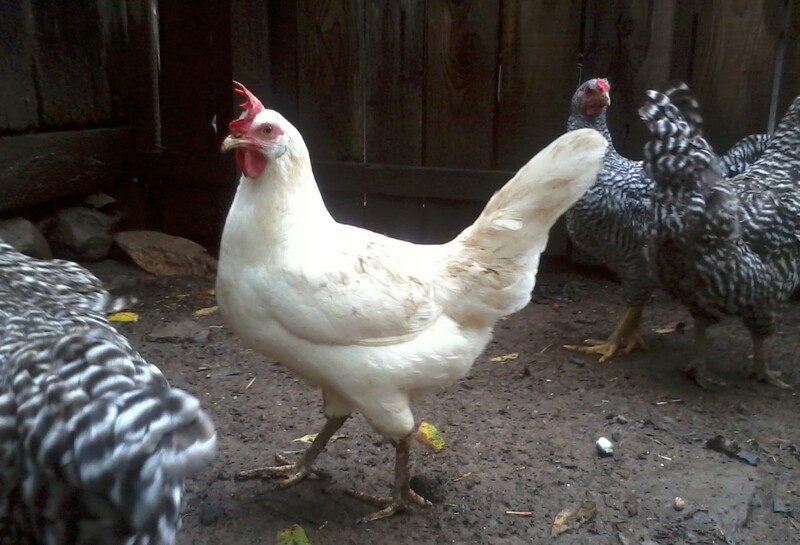 Are you looking for an animal to provide meat for your family or to sell? Do you want a fiber animal? Are you looking for a pet, with the added bonus of eating weeds? How much space will you have devoted to your goats? Saanen: Saanens are the largest of the dairy breeds and are often considered the "queen of the dairy goats". They have the abiltiy to produce a lot of milk- up to 3 gallons per day- with a low butterfat content. They are usually all white in color and very mild mannered. Nubian: The nubian goat is one of the most popular dairy goat breed, easily recognizeable by it's long floppy ears. Their milk is also known for it's high butterfat content, which makes their milk excellent for cheesemaking. Nubains have a habit of being loud- so if you live on an urban farm, make sure your neighbors won't mind the noise before choosing this breed! LaMancha: LaManchas are a medium sized goat, also easily recongnized by its ears- or lack their of. 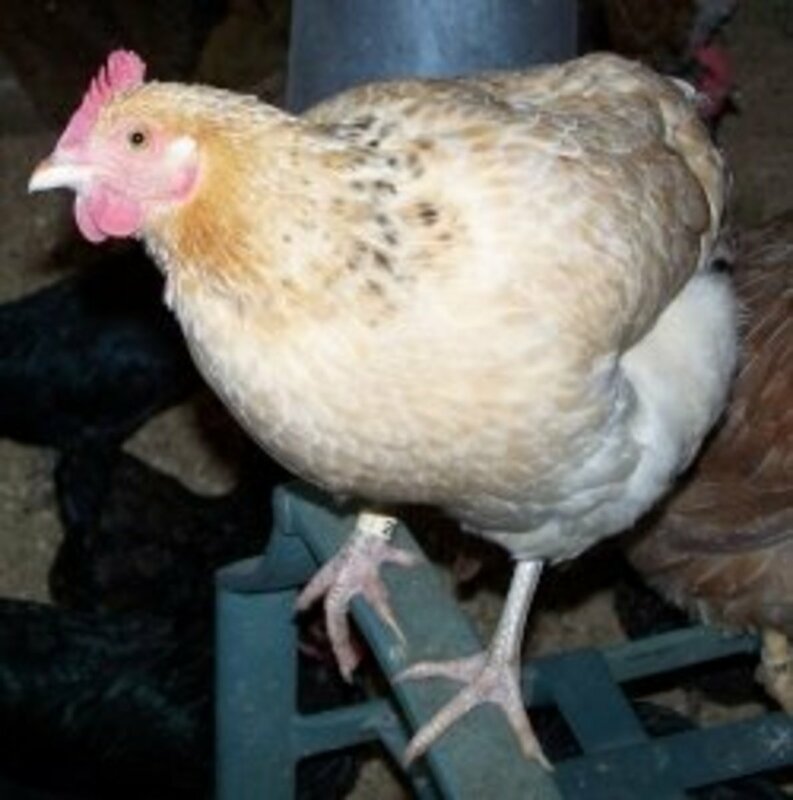 They have a friendly, easy going temperment and are very hardy animals. They have good milk production with a slighly higher butterfat content, making them a good choice for those wanting to make cheese and soap. Alpine: The Alpine goat is a medium to large goat that comes in many different colors. They are very hardy and do well in most climates. 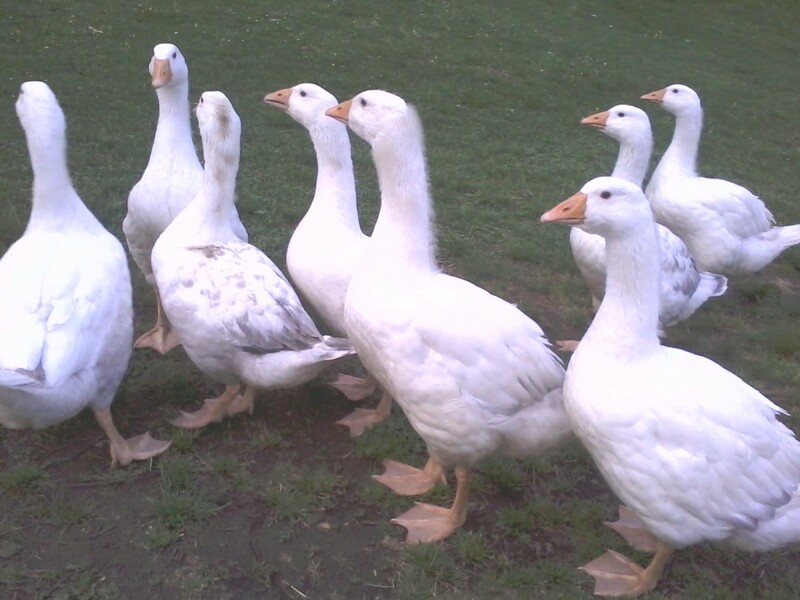 They are good producers and can offer a consistent production rate that other breeds cannot. Oberhasli: Also called the Swiss Alpine, the Oberhasli is most commonly a reddish-brown color with black markings. They are a very sweet and quiet breed with good milk production of up to 2 gallons a day. Boer: The Boer goat is the number one option if you want a goat for meat. They are bred for growth and reproduction and can consistently produce more muscle in less time than any other breed. They are easy to care for and they often earn their keep by the amount of forage they can consume. Kiko: Kikos are a breed known for its hardiness. They can gain weight without supplemental feeding and have great reproductive health. They have shown to bed adaptable to most any living situation and give a lot of meat for the amount of money you put into them. Kikos are relatively new in the United States but are gaining in popularity. Nubians: Nubians are most known for their dairy capabilities, but also have the potential as a meat goat. Often owners breed their nubians and keep the does for milk production and the bucklings are used for meat making them a good dual purpose animal. Angora: If you want a fiber animal, Angoras are a wonderful option that is sought after for their mohair. 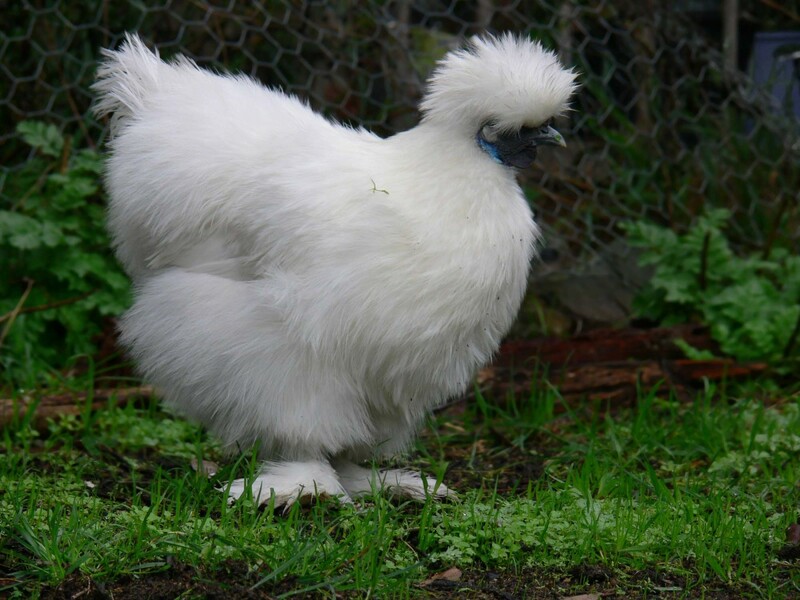 Angoras are usually sheared twice a year and can proudce up to 6 lbs of fleece. Nigerian Dwarf: The Nigerian Dwarf goat is a miniature breed that also happens to be a pretty good dairy goat. They produce a large amount of milk for their size with a very high butterfat content. 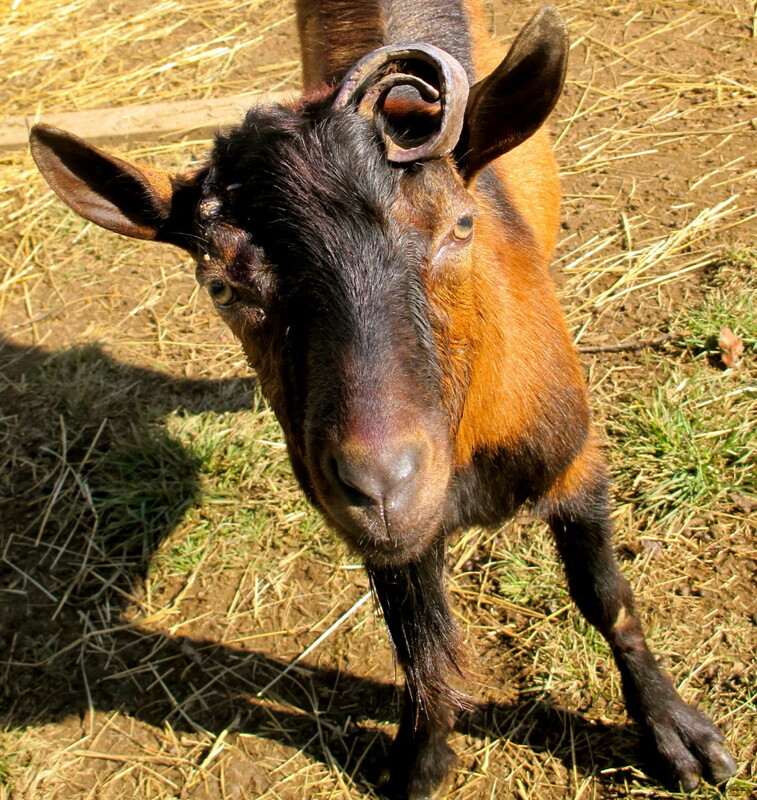 These goats are a favorite among urban farmers with a limited amount of space to devote to goats. And due to their small stature and easy going manners they are a good choice for children to handle. Pygmy: The Pygmy is very similar to the Nigerian Dwarf Goat, except it is more muscular and stocky. They can be used on a small homestead as a dual prupose goat. Mini crosses: This is not breed specific, but many people are now crossing various breeds to make smaller versions of the larger dairy breeds, ie Mini-Nubians or Mini LaMancha. This can be a good option for someone with a small space, yet they would like more options than a Nigerian Dwarf or Pygmy. Remember that not all goats are the same. If you want milk, of course you will need a doe. If you want pets for brush control, get a pair of withers (castrated males). Unless you plan on breeding goats I would not recommend getting a buck, and even if you are planning on breeding, I would still say to wait on buying a buck. You can often find one to rent for service. Bucks can sweet and gentle, but a buck in rut is not the animal for a new goat owner. And last of all, please remember that goats are herd animals. They will not be happy alone. So if you plan on one, plan on two. Withers can be found rather inexpensively and are great for keeping lonely does or bucks company. Once you've chosen your breed, find out more by reading Raising Goats: How to Care for Your Goats and Raising Goats: Breeding and Kidding. 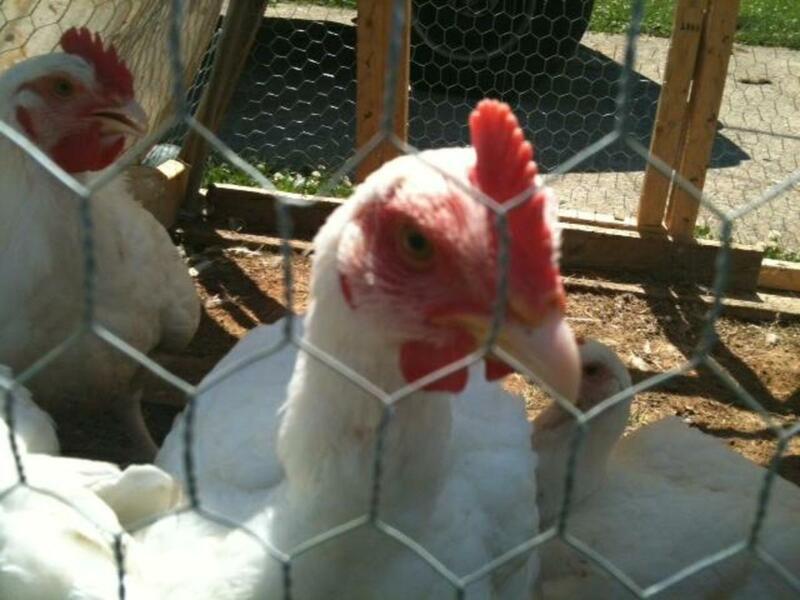 What are Euskal Oiloas (or Basque Hens) and Why Would Anyone Want These Chickens? I have a Nubian milk goat. She is awesome and gives delicious milk and cheese. Great hub! Great article! We're planning on getting goats next spring. The only problem is deciding which breeds to choose. We want a little of everything; milk, meat, and fiber. Your information will be very helpful in making our decision. Thanks! Madmachio- Thanks for commenting! We are swimming in milk at the moment! Ellen- What a great story! Thanks for sharing it. Wow. I'm not thinking of buying one in the immediate future, but definitely in the future. This is so helpful. I see that you write articles that focus more on a green living lifestyle, and I'm definitely headed in that direction, so I will be following you. Thanks. I raised goats as a kid and rescued two one day old ones at a livestock auction, they had terrible diarrhea and were dehydrated, my best friend was a vet so she met me at my farm when we got home, the goats had to stay in the house as it was below zero 24 hours a day in the Adirondack Mountains where we lived, anyhow, they were put on antibiotics, and I found goat milk for them to bottle feed them. they wore diapers and to keep the diapers on I bought the little button up one piece outfits infants where. It worked like a champ. They loved to sleep behind the wood stove or snuggled up to the dog on the couch. It was a lot of fun as they started to feel better and as their body temperature is about 101 degrees they were so great to snuggle with as the we all watched tv. The two of them got healthy and I found a wonderful home for them. Goats never grow up, they don't walk a straight line because it's funner to jump and twist. They are a pleasure to have as animals. Great article. Congratulations on hub of the day! I have so many friend that raise goats I can't wait to share this article with them. I also am sharing this up! Awesome article!! We raised Alpines and Nubians for milk! They were a blast!! and gave a ton of milk too! I wish I had time to respond back to every comment right now. Thanks for all the wonderful comments, for sharing your experiences with goats, or your desire to raise them. I would recommend them to anyone, even just wethers as pets or weed eaters. We didn't mow our old back yard once last year because of them! Your hub was very enjoyable to read and brought back my own memories of having goats when I was growing up. We had nubian and alpine goats and raised them for the milk. My mom made cheese and we always had tons of milk to drink. This has got to be one of the coolest Hubs I have ever read. Congratulations on Hub of the day! Scooter and Scout in the picture look so cute. Wow! great hub who wants to raise and breed goats. I enjoyed reading it. Congratulations on Hub of the day award! When i finally get some land of my own i would love to have a goat. In my opinion there one of the worlds most interesting creatures. Thanks for the information, i can't wait to have a goat of my own! In a few years we'll be able to have goats--more as pets than anything else. (Can't wait!) Your hub is a nice intro to the types. Congrats on HOTD! We raised Nubian goats on our farm in Alberta, and I must say that they make wonderful pets. Goats are just as intelligent as dogs and enjoy human contact. Good hub, with lots of useful information! Hi Sadie, Well done and congratulations of winning Hub of the Day. Well deserved, voted up interesting! These goats are adorable! I never thought I'd ever say that, yet I just did. Informative hub! Congrats on your HOTD! Well written article. Nicely laid out with beautiful photos. This is a great resource! Congrats on getting HOTD. This was very informative. We had three goats when I was a young girl and they were our pets. I really never gave much thought to the fact that there might be so many varieties. And until very recently, I had never had goat cheese. I have enough land to have a few goats. I am always threatening to get them so that I don't have to mow. I do know you can't get just one, I just thought that "joke" was funny. We had planned on getting a mom and her baby. We just can't decide. We have a friend who breeds, so I wouldn't need a buck. Decisions, decisions. One, I might add, that we don't take lightly. Those little thing can eat. I love how they try to cuddle up when you feed them yams. Interesting hub. voted Up and Interesting. Would love a goat but the would eat my garden. Enjoyed your hub and all the information. Congrats on Hub Of The Day. I'd love to have a goat or dairy cow, but I'm afraid my three backyard chickens are already pushing the limits with my homeowners' association. : ) Congrats on Hub of the Day! 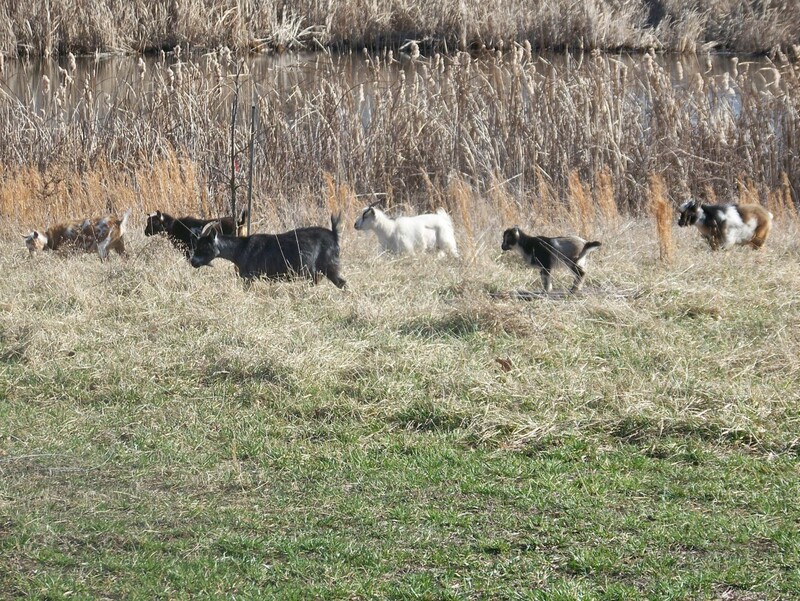 cloverleaffarm- We love having goats. You should never get just one since they are herd animals. They can even die from loneliness. Thanks for commenting! Nettlemere- Goats are fun to work with. We have an Oberhasli buck, so I've read a lot about that particular breed. Thanks for commenting! Try as I may, I can't keep a goat. Other people keep getting it. jpcmc- We raise dairy breeds, ours does are Saanens. 3 gal a day is hard to get and only from superior milk lines. We get about a gallon a day from our first time milker right now. vespawoolf- Thanks so much for the comments! 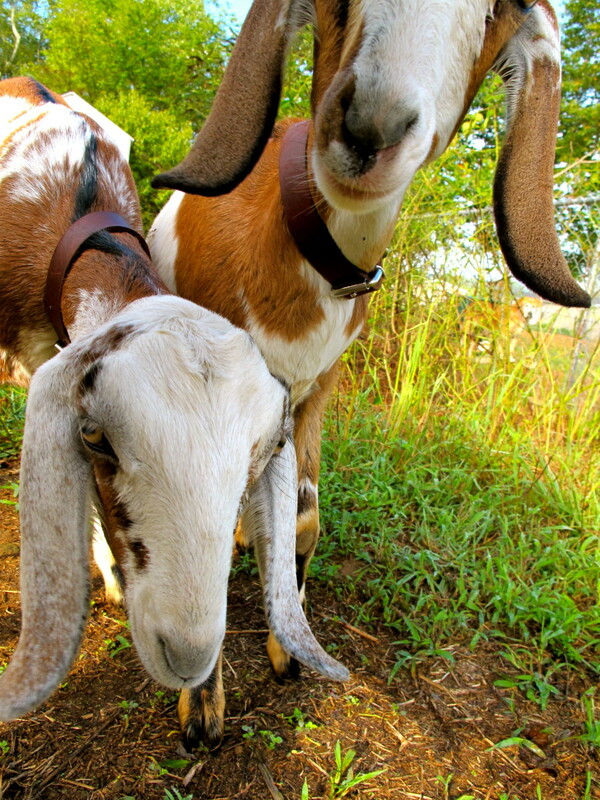 We love our goat's milk and our Nubian's ears. They are crybabies, but oh so cute! mary615- Goat's milk is supposed to be easier to digest and raw milk would be beneficial to many stomach conditions I would assume. Our big girls follow us around like puppies too! I loved looking after goats at work. Never heard of the name Oberhasli for the Swiss Alpine - always good to learn something new. Great info. We have been thinking about getting goats, and still can't decide. We heard a story that if you only get one goat, it has 24 hours a day to find out how to get in your house...and it will...lol. Congrats on HOTD. Mary, I wonder if he drank the milk because it was raw milk. They say raw milk is better for you. Goat's milk is also better for you than cows milk. Just curious. Congrats! I love goats! When I was a kid (a child, that is!) one of my chores was to milk our nanny goat. My Dad drank the milk for his stomach condition, whatever that was. Later on, my children had a couple of nanny miniature goats that were the sweetest things. They followed us around like a big dog. I voted this up, etc.etc. Wow, very interesting information about goats! Now I want one as I do enjoy goat's milk and it's easier to digest than cow's milk. And goat's milk cheese is off the charts. I'd never thought of raising a goat for its fiber, though. I love Nubians for their floppy ears. Voted up and shared...congrats on a well-deserved Hub of the Day! I didn't realize there are so many species of goats. If I were to raise one, I'd go for the dairy breeds. Imagine getting as much as 3 gallons of milk. Wow, that's a lot of milk! I agree it is very rewarding. I love spending time with my goats! I'M glad i'm not the only person her that loves ther goats,this is a wonderful article,keep up the good work.So many people don't know how rewarding this project can be. I am glad you found it informative! Goats are great fun to have and very useful around the yard to keep weeds, and grass, down. Thanks for the comment! What a great and informative article! I always joke that I want a farm with a couple mini-goats to keep the weeds clipped. Now I know exactly which kinds to look for :-) Thanks! I love Goats. I had a French Alpine one and well she had an attitude and was a feisty girl. That was more reason to love her. I wish I could have one now, but alas we live in a neighborhood that doesn't accept them. We use ours for milk and we have 2 boys that are purely pets (and poison ivy eaters) While I am a vegetarian, I am not against humans eating meat- just humans treating animals poorly. Humans are omnivores- by nature we are meant to eat both plants and meat. I don't fault any other animals for hunting to survive and humans are no different, except when they force those animals into horrible lives before being consumed. Thanks for your comments! not all. we used ours for milk...humans eat everything..Sad but true. goats are bred for meat right?? so sad to see those poor animals dying to satisfy tongues of human beings. really sad! Very interesting. My daughter has a Nanny goat, she is loads of fun. I don't know what kind she is. It looks like you did your research! I will show her this! very good info..great info. Thank you.